By David Ponce on 04/29/16 • Leave a comment! Taking narcissism to a whole new level, the Selfie Toaster makes it possible to make your breakfast in your own likeness. 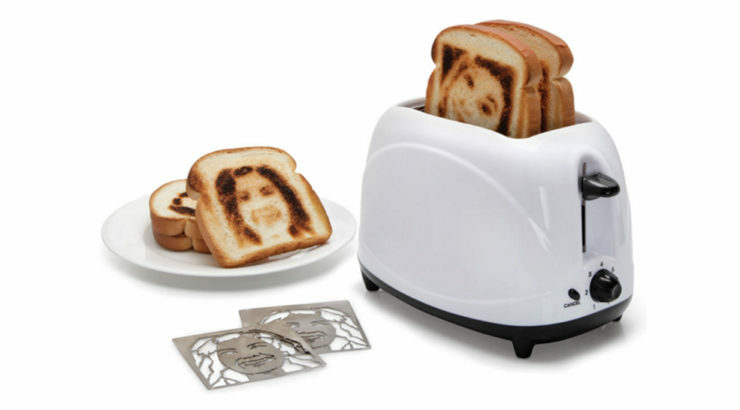 It achieves its results by using metal plates with your likeness cut out; when the toaster operates, the heat will only brown the parts of the bread that make up your face. When you order the thing, it will be shipped with a demo plate so you can see how it works. You’ll then have to go on the company’s website and upload a picture of yours and after a two week wait, you’ll be all set to delight yourself and your possible guests with bread adorned with your beautiful portrait. Best part is that it’s super inexpensive, at $39 from Hammacher Schlemmer. By David Ponce on 09/28/15 • Leave a comment! Ever tried making your dog pose for a selfie? Yeah, didn’t go too well, did it? Well, that’s because you’re doing it wrong. Getting a canine to hold its attention on what you want is hard, unless you know know the trick: tennis balls. 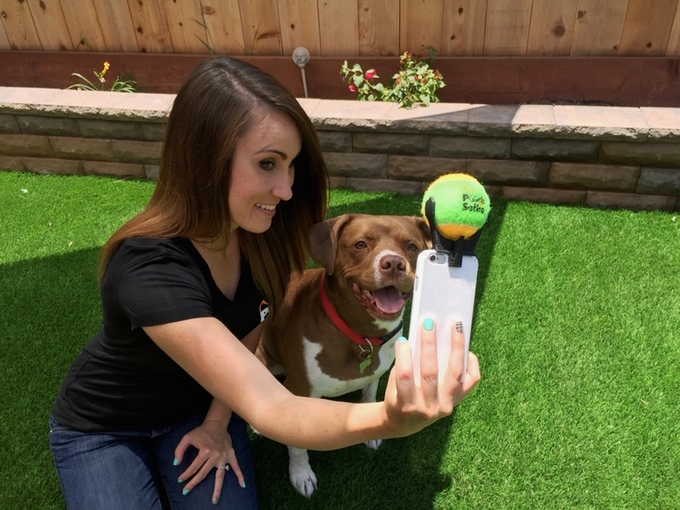 The PoochSelfie is a smartphone attachment that holds on to a tennis ball on one side, and to your smartphone on the other. In this fashion you can sneak as many selfies and portraits of your dog as you like, while he stares straight at the camera, fixated on his favourite toy. 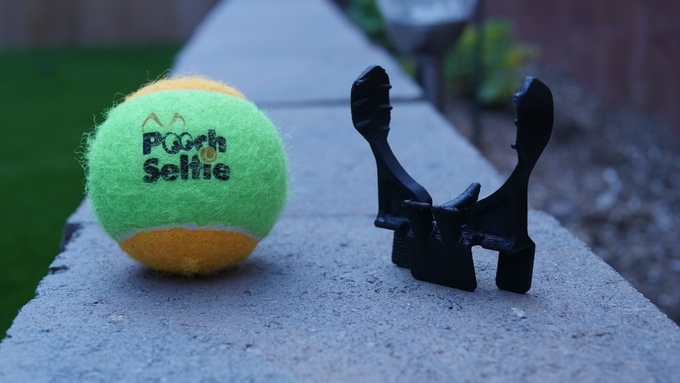 It’s a simple device, but one that promises to give dog lovers everywhere tons of enjoyment. Prices are right, starting at a $13 pledge for 1, and $25 for two. Shipping is slated for December of this year. By David Ponce on 04/29/15 • Leave a comment! Oh, what a sad lonely world we live in. Think about it. 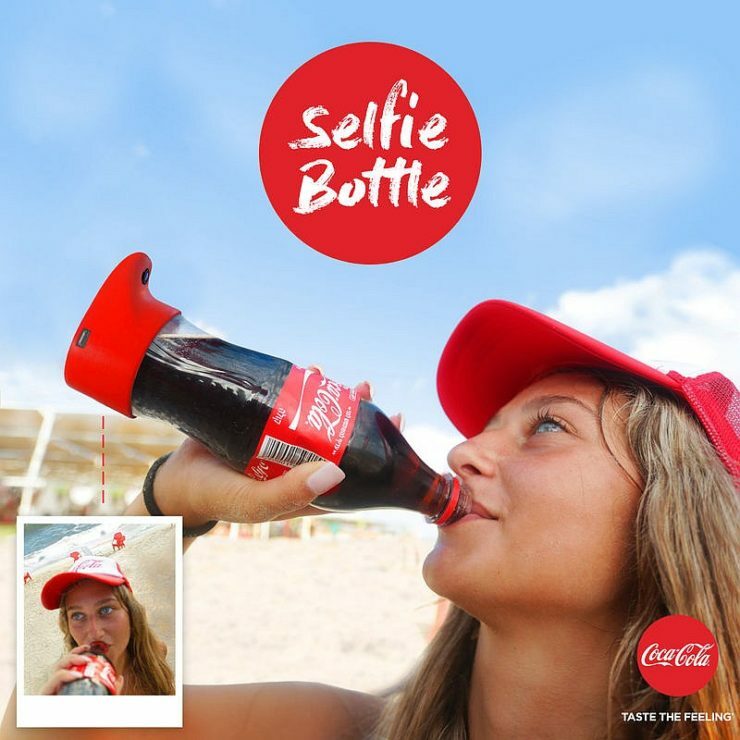 There’s a product out there made specifically for you to take selfies while making it look like you’re in someone’s company. Or not. There isn’t. Thank God. 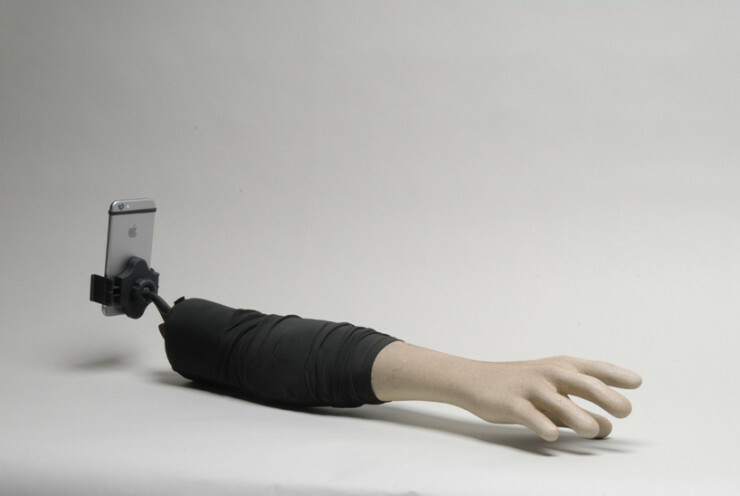 The Selfie Arm is actually a piece of art by Aric Snee and Justin Crowe. 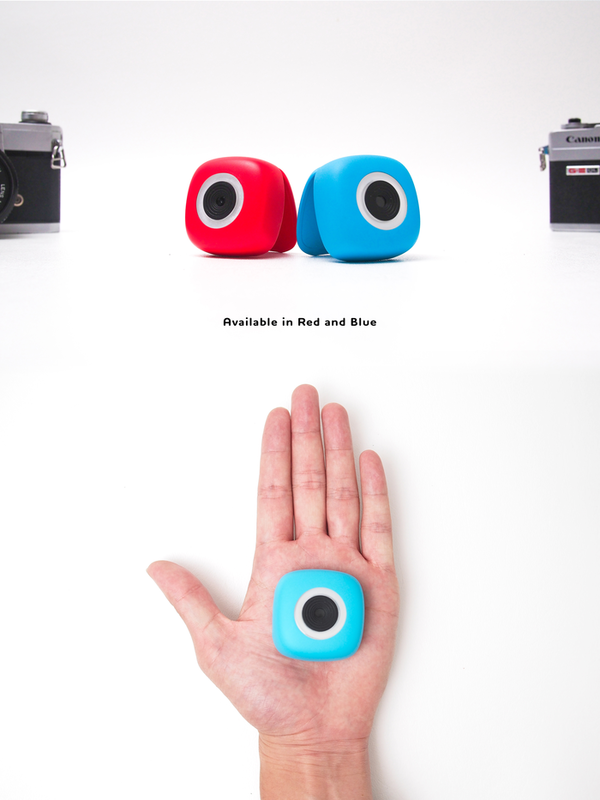 It’s the sarcastic solution to a quintessential problem — nobody wants to look alone while they mindlessly snap pictures of themselves — the product conveniently provides you a welcoming arm. and better yet, it doesn’t talk or have emotions of any sort. you can even create fake accounts and use its finger to like all your images; its not you its the hand! 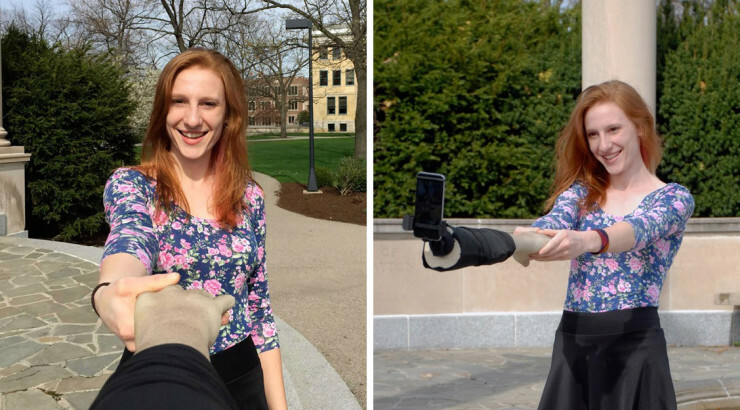 ‘selfie arm’ is made of fiberglass, is lightweight and portable, and fortunately only a prototype. the collaborative project is a direct commentary on the growing selfie stick phenomenon, and the constant, gnawing need for narcissistic internet validation. But of course, this kind of art is likely to be nothing but inspiration to some company turning the idea into actual product you can buy. Mark our words, it’s just a matter of time before this is a thing, at least as a gag item. If it isn’t already. Historians will look back on our times as the inflection point in which the human race acquired some duck-like genes; surely your ability to mate and pass your genes on today depends at least in part in your ability to make a duck-face, doesn’t it? 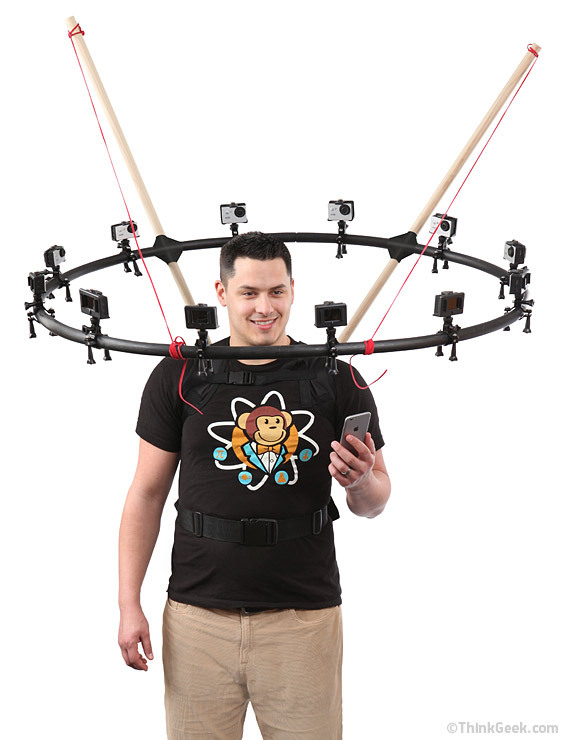 And if that’s true, then you’ll surely be crowned King of the World if you buy this: The Do It YourSelfie 360° Selfie Rig. – Easily uploads to: Facebook, Twitter, MySpace, Instagram, Vine, FarmersOnly, Flickr, Google+, and more! Your friends will congratulate you for being considerate enough to include an image of your face from every conceivable angle. And it’ll only cost you $199.95 to do so… plus the cost of 12 cameras, of course. 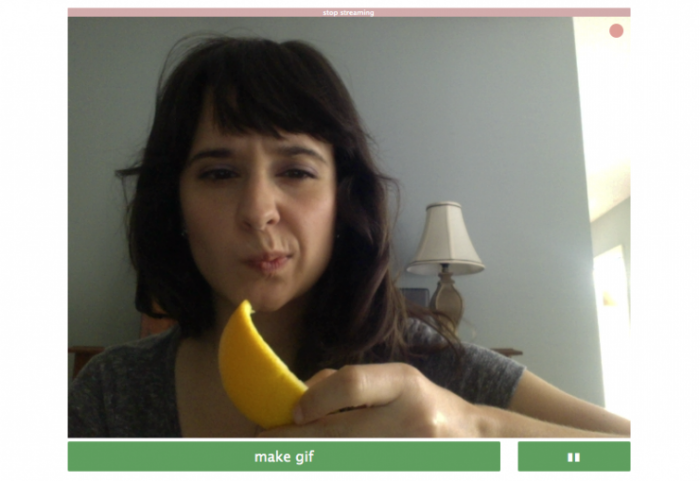 The app accesses your web cam and turns the recorded video stream into a GIF. Quick, easy, and painless. After that, you can make edits or just send the GIF directly off to Imgur. Start making your own GIFs here.